Found 84 file extension associations related to Microsoft Windows Vista and 33 file formats developed specifically for use with Microsoft Windows Vista. Microsoft Windows Vista is a line of graphical operating systems used on personal computers, including home and business desktops, notebook computers, Tablet PCs, and media centers. On January 30, 2007, it was released worldwide to the general public and was made available for purchase and downloading from Microsoft's web site. The release of Windows Vista comes more than five years after the introduction of its predecessor, Windows XP, making it the longest time span between two releases of Microsoft Windows. Windows Vista contains hundreds of new features; some of the most significant include an updated graphical user interface and visual style dubbed Windows Aero, improved searching features, new multimedia creation tools such as Windows DVD Maker, and completely redesigned networking, audio, print, and display sub-systems. Vista also aims to increase the level of communication between machines on a home network using peer-to-peer technology, making it easier to share files and digital media between computers and devices. For developers, Vista includes version 3.0 of the .NET Framework, which aims to make it significantly easier for developers to write high-quality applications than with the traditional Windows API. How to disable Autoplay in Windows - Disabling or changing the AutoPlay function in Windows. 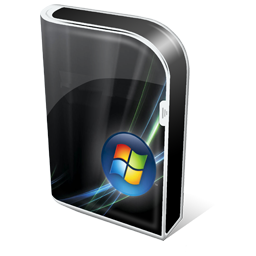 Install Windows without DVD or USB - Install Microsoft Windows Vista, 7, 8, 10 operating systems from hard disk directly. How to add Show/Hide known file extension toggle in Windows - Adding a handy file extension option to context menu in Windows. How to install a virtual PostScript printer in Windows - Using universal PS drivers to install virtual printer in latest Windows. File-Extensions.org Search application for Windows - Look for information about extensions and associated programs directly from Windows. Edit hosts file in Windows - Editing hosts file with Microsoft Windows Notepad text editor. How to remove hiberfil.sys - Disable hibernation mode in Windows XP, Windows Vista, Windows 7 and Windows 8. How to move pagefile.sys - Changing the default location and settings of Virtual Memory paging file in Windows operating system. File-Extensions.org Search Installation and Features - A free File Extensions Tool for Windows. If you need more information please contact the developers of Microsoft Windows Vista (Microsoft Corporation), or check out their product website.